The Camaro is considered an American driving icon. A staple in the American automotive industry for decades, it’s a classic pony car. But even a car like Camaro can stand improving if only to make it outshine its competitors by a long shot. The new 2018 Chevrolet Camaro does that and so much more. It has only improved in the last few years, but even the 2018 outperforms its predecessors. It’s a fan favorite. That’s no surprise, however. With its roaring engine, shiny, colorful, slick body, tech-savvy additions, and luxurious feel, everyone wants to drive one. It is considered one of the most coveted cars in the world. Though it is considered a muscle machine, you won’t believe how affordable the 2018 Chevrolet Camaro is. With a $25,905 starting MSRP, car buyers are running to our showroom to give it a test drive. And at Carl Black Nashville we love the 2018 Chevrolet Camaro too and can’t wait to show them off. We understand cars, so we know that the 2018 Chevrolet Camaro is a great, fun car. It’s a powerful sports car that’s fully equipped with the style and cutting-edge technology standards that any car buff requires. Don’t forget the price is also what is most eye-catching. The 2018 Chevrolet Camaro was designed above-all to appeal to the customer, and to be as driver-centric as possible. The way to do this is to include in its upgrades, technologies that do their best to enhance performance and the overall driving experience. And if you are driving a 2018 Chevrolet Camaro, you want only the best. Every 2018 Chevrolet Camaro has the Chevrolet MYLINK technology installed. This has many features including Apple CarPlay, Standard 7-inch or available 8-inch diagonal touch-screen, Android Auto compatibility, Voice-activated controls, SiriusXM Satellite Radio that comes with an immediate trial subscription of an All-Access Package for 12 months! We all know how important connectivity is, which is why the 2018 Chevrolet Camaro has available wireless phone charging, Bose premium audio system, and an 8-inch diagonal reconfigurable center screen display in instrument cluster. What makes the 2018 Chevrolet Camaro so driver-centric? Its available features including head-up display, electronic park brake, keyless open and start, power seats with memory, and of course the heated steering wheel. And don’t forget for those safety-conscious parents, we do have General Motors’ Teen Driver feature. This feature allows parents o monitor their teens driving behavior and reports back to them with a safety scorecard. It can also make adjustments in speed to assist the teen in better driving skills. Despite its boasted powerful engines across all trim levels, the 2018 Chevrolet Camaro is surprisingly fuel efficient. EPA-estimated 30 highway MPG in a muscle car is outstanding! Some tests have gotten as high as 31 MPG for the highway. Some of the other trims go just a bit lower at 27 MPG. 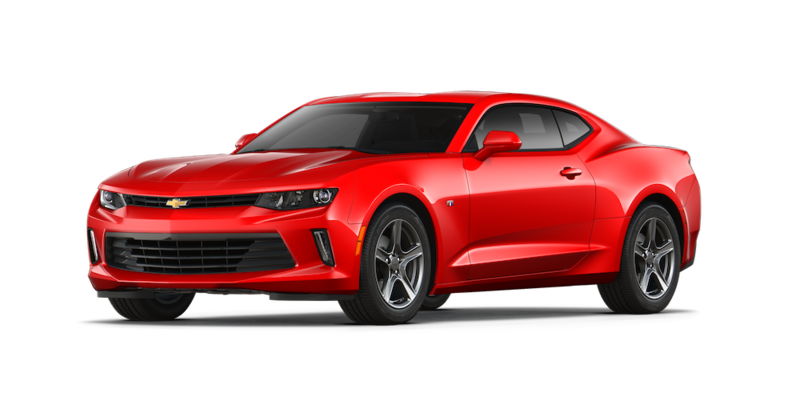 The 2018 Chevrolet Camaro and sports cars like it are not typically known for being fuel efficient, but this is a misconception as they are on par with cars such as the Toyota Prius. With Chevrolet’s turbo inline-four it has some of the highest EPA estimates. The Chevrolet Camaro can easily boast that their V6 and V8 engines performed beyond expectation. So, let’s talk for a bit about the power of the 2018 Chevrolet Camaro. This car has an energetic engine, no matter how many cylinders, getting to 335-hp in the V6 and an astounding 455-hp in the V8. The 1LE package transforms the model even further, making the V6 or V8 faster and more powerful than ever. Keep in mind even the upgrades are not that expensive. The V6 1LE is only $37,490. The 1LE package brings the power, and performance by pairing exclusively with a six-speed manual transmission. It has a specially tuned suspension, that coupled with the 2018 Chevrolet Camaro’s 20-inch wheels with wider, stickier tires, drives even better! The V8 SS 1LE model also includes coolers for the differential, engine oil, transmission, and Brembo six-piston front brake calipers. Alongside aggressive suspension, much larger front brakes, much wider tires, this fun sporty vehicle is already outshining its competitors. With a bit of an upgrade, you can get the electronic limited-slip differential which makes for even more effective grip and traction. The 2018 Chevrolet Camaro requires nothing less than a stylish exterior and interior. It’s part of what makes this sports car so unique – its fun look! Available now for the 2018 Chevrolet Camaro are ten exterior colors and six interior colors. There are many ways to combine them for the most striking look. These are the new and standard colors that Camaro has to offer: Red Hot, Bright Yellow, Garnet Red Tintcoat, Nightfall Gray Metallic, Silver Ice Metallic, Summit White, Mosaic Black Metallic, Black, Hyper Blue Metallic, Arctic Blue Metallic. Here are all of the new and standard interior color combinations: Jet Black, Medium Ash Gray, Kalahari, Adrenaline Red, Ceramic White, Jet Black with Red accents. Keep in mind when you are choosing materials for your interior, you have these seat trim materials to choose from: cloth, leather-trimmed, and leather-trimmed with suede inserts. You can also upgrade your interior with RECARO seats; these are available as heated and ventilated. Before we even touch on how exciting the technology updates are, there are more features of the trim that must be noted. One is the leather-wrapped flat-bottom steering wheel. Another being the aggressive bolsters on the seat. The air vents that control airflow are a great addition, plus the new center console and its ample storage. The 2018 Chevrolet Camaro Convertible has a fully automatic soft-top that disappears with the push of a button. You don’t even have to stop the car to open it, and can even open it remotely using the key fob. Come to Carl Black Chevrolet of Nashville. Here we do our best to ensure your buying experience is a top priority. Our highly qualified and dedicated team of dealers are excited to meet you and determine your needs. One of the best parts of our job is talking cars with other car-lovers, especially a vehicle like the 2018 Chevrolet Camaro! 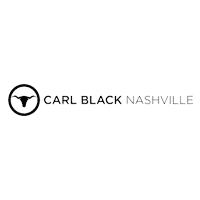 At Carl Black Chevrolet of Nashville, our inventory is stocked with all of the best trims that include the features you are looking for in a sports car. Each one of our vehicles is put through an extensive inspection process. We understand how important quality in an automobile is. That’s why we are a Chevrolet dealership. We want you to know we only carry cars that you can put your full trust in. You just might find your dream car waiting for you here at Carl Black Chevrolet of Nashville. Come visit us at 535 Murfreesboro Road in Nashville and meet with a member of our team. We look forward to helping you!